Now on the Mac App Store℠! 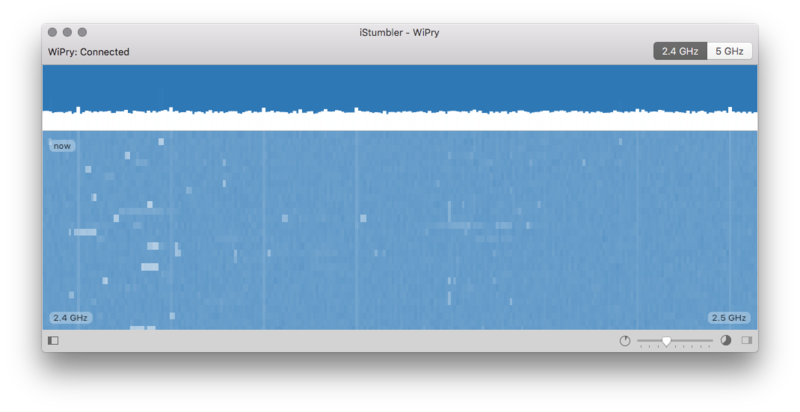 Six powerful wireless tools for macOS 10.10 or later. $14.99 at the iStumbler Store. 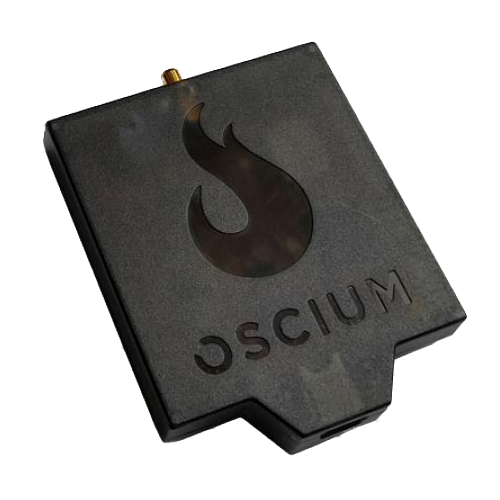 An award winning 2.4 & 5 GHz Spectrum Analyzer for macOS, iOS, Android and Windows. 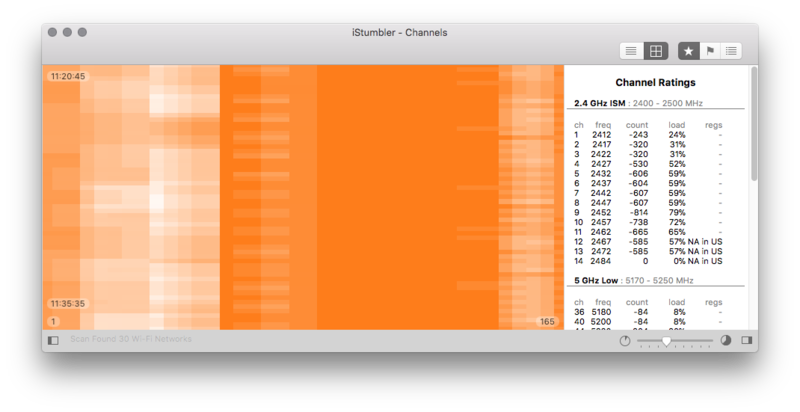 iStumbler is the leading wireless discovery tool for macOS, with tools for investigating: Wi-Fi networks, Bluetooth devices, Bonjour services, Location information, and now 2.4 & 5 GHz Spectrum analysis with your Mac. 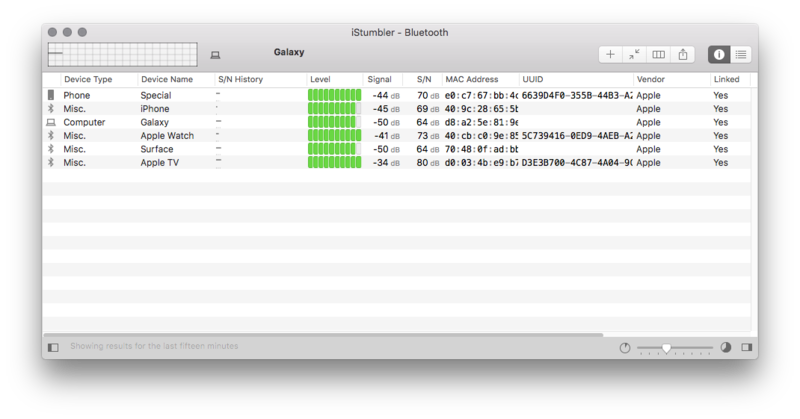 Release 103 adds a Live Map, Bluetooth LE Support, Real-Wave Spectrum View for WiPry devices, TouchBar support and many, many assorted bug fixes and enhancements. 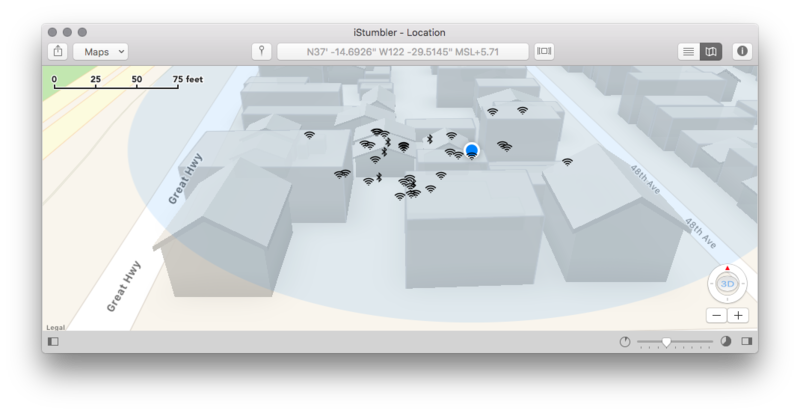 iStumbler is now just $14.99 for all the computers that you own. Purchase your license in the store, or right in the app. The Press Release and Change Log have all the details. Drop or paste anything to get detailed information. 99¢ on the Mac App Store. Create QR Codes to make it easy to join Wi-Fi Networks. No Mac? Check out our Web Tools! 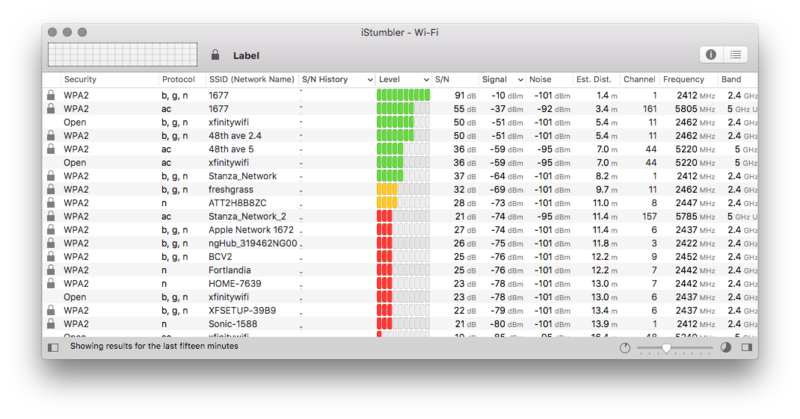 Find your local router's web interface in seconds. Works in Safari, Chrome, FireFox and even Edge! Create QR Codes to make it easy to join Wi-Fi Networks right in your web browser.